There were days where I thought I’d never make it as a writer. Days where I wanted to spit on my routine and just stay in bed, pitying myself. Because of all the amazing people who made it work, and who share it. Their example and encouragement is what took my life to the next level. Their blogs are a constant resource of inspiration, ideas, information and fun that takes my life to higher grounds. Daily. They are my dose of daily inspiration, and I know that all creatives need one (or more). So if you struggle to discover those blogs that are worth your while, let me share my addictions with you. But beware: You’ll likely to become an addict faster then you think. The upside: Your creative life will never be the same. I have to start with writing because this is what my creative life is essentially about. 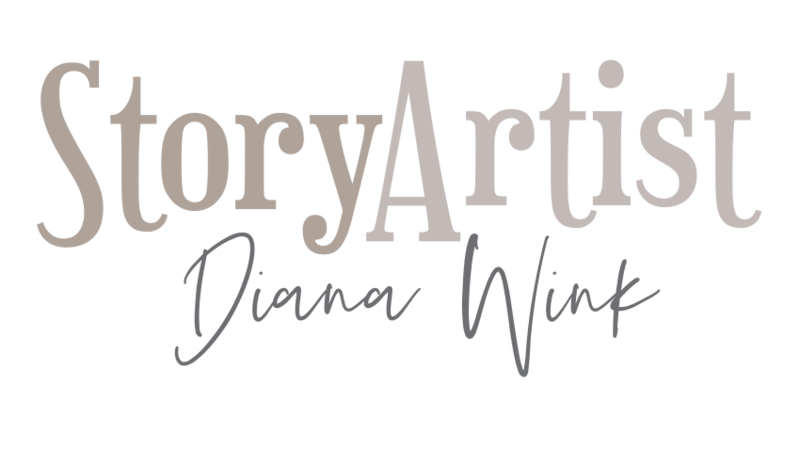 I am captivated by storytelling & stories, and encourage everyone to discover the “untold story” inside of them and write. Just write. It’s really a fantastic time to be a writer! I do believe that. But this belief came from studying the following blogs and the life of these people. In her podcast, she once emphasized the importance of having an online mentor, and I thought to myself: Well, then it’s definitely you, Joanna! Joanna loves authors. Her first and foremost aim is to empower them, and that’s how I feel after following her for probably a year now. Empowered. Reading Joanna’s articles and listening to the podcast is a delight. Especially the introductions always fuel me with new ideas and motivation of how to proceed with my writing. I never miss a podcast now! Her voice radiates an always positive attitude, she is real and genuine about her writing life. Joanna is a visionary. She started self-publishing before it even was a trend. She started podcasting before everyone else jumped on the train. She is geeky about futurist stuff and loves new development instead of condemning it. This is probably one of the reasons why she’ll never be behind – and you will also be always on top of things reading her blog. A list of articles on editing and recommended editors – a brilliant resource! Podcast on the future of publishing – geeky stuff. Joanna is an advocate for going wide instead of Amazon exclusive, here’s why. Katie Weiland was my first mentor concerning writing craft. Craft comes easy with her. It’s practical. It’s doable. And it works. While I struggled starting my first novel, I stumbled upon her blog and bought her books on outlining and structure – they literally changed my writing life! I understood the process of outlining which helped me shape my novel. The understanding of structure revolutionized the way I wrote the middle section (Act II) of my novel, which I always struggled with. Her resources are all about practical advice on writing fiction, things you can instantly and easily implement into your routines. Storytelling according to Marvel – those movies are hyped now, but why do they work? The story structure database – in order to understand structure, you can study famous books and movies according to their plot points. The database is always updated! The 5-step game plan to outlining your novel. Using Scrivener in writing process – so practical because Katie gives a glimpse on her own writing with Scrivener. Mark Dawson’s blog and podcast are all about self-publishing. Here, we’re leaving the safe waters of “writing art”, and entering the uncertain ocean of business. But with Mark, this ocean seems not so scary after all. Let’s face it: we need to market and be able to navigate around the business side of things, because as indies, we’re not just creators but also businessmen (and -women). This blog is a treasure chest full of great tips and tricks, which are often technical. Mark makes navigating the ocean of self-publishing doable, manageable. With the blog, it’s easy to achieve real-life, hands-on results. But Mark does more. Just look at the way he presents his blog visually – he makes it fun and straightforward! Darcy’s blog is all about the little details. Literally. She emphasizes the importance and skill of colorful and extraordinary descriptions. Her posts are short, but sum up the issue in a nutshell. For everybody who needs a little something to inspire and fix your writing life quickly, this is the blog to go to. The blog is divided into several categories, but the best way is to just dive into it. Open up any post that grabs you by the title, and give it several minutes to refresh your motivation. A short article on the most important rule: Show, don’t tell. Spice up scenes that you think are good (but boring). A great and inspiring note on a novel by Janet Fox. Nicole writes a lifestyle blog for writers. And she borrows from those who have gone this way long ago: Hemingsway, C.S. Lewis, John Steinbeck, William Faulkner, Arthur Conan Doyle – the list goes on. Films about writers, famous authors’ unusual hobbies and lots of articles on writing productivity. This is a blog full of practical tips and tricks for the everyday writing life that will sometimes “wow” you, and motivate you to actually WRITE (which we too often get distracted from). 5 Writing Tips from Ernest Hemingway – number 1 was an eye opener. C. S. Lewis’s Letter to a Young Writer – five inspiring rules which are more about the semantics, sentences, and words. How to Use Benjamin Franklin’s Daily Schedule to Reach Your Writing Goals — not about a writer per se, but lots to learn about schedule and success. As a filmmaker, I am a very visual person. I derive most of my inspiration from films, scenes, lights, camera and moods. I am also convinced that it is important to take glimpses of the diverse forms of art, be it music, fine art, photography or design. Those two blogs are my absolute favorites to look for inspiration in other arts. One of the top character writing tips is to pick a picture for your main characters. Have their faces visually in front of you. Joey is a Canadian-born photographer based in New York. His portfolio is a magic box to write characters. Just scroll through it. Every picture tells a story, is speaks of lives, darkness and light, families, relationships and adventures. The travel videos and on set photos offer great insight into his work, in particular for photographers and filmmakers. For those, he also has a tutorials section where he disassembles his work and his campaigns. “Dudes with cameras” is another quirky and humorous web series that offers insight into the unpredictable life on set. 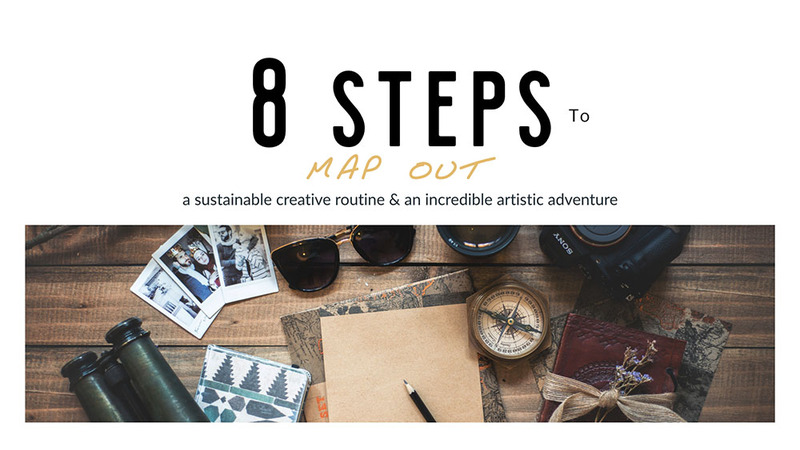 Truly outstanding inspiration and information here for every creative! Creative Boom is a famous online magazine where you can find everything – literally everything when it comes to art. The focus lies on art, crafts, graphic design, illustration, photography and travel, the latest gadgets and books, interviews with creatives. The blog is divided into four categories: Inspiration, Tips, Resources, and Features. There are also posts on inspirational workspaces, tips on freelancing, marketing and clients and all kinds of resources. Lifestyle is the sum of the days we live – day in, day out. It is our routine. The optimization of our daily routine is what makes our creative lives successful. We need to know how to use our time wisely. Those were the blogs that changed my routines, helped me live more productively and altered my outlook on everyday life. This one is probably the best blog on productivity and habits! It contains endless articles and resources on lifestyle topics, and it really helped me understand how the human mind and habit forming works. At its core lies the question: How can we live better? James answers it in two ways. On one hand, by trying to understand the forces that shape failure and success, on the other hand, by applying the principles to everyday life. Start by just clicking on the Articles category where James will lead you through all the aspects his blog contains. How to Build a New Habit: This is Your Strategy Guide – this is a mind changer when it comes to habit building. For a More Creative Brain Follow These 5 Steps. Many say: I’m just not creative. This is a lie. Everybody can be creative, I honestly believe that. This is a misconception, and those five steps will help everybody kickstart their creativity. The Paradox of Behavior Change – find out about the myth of Radical Change that we all believe in. 6 Truths About Exercise That Nobody Wants to Believe – and this leads me to the next (b)log. Sorry, this one is for the girls. There are probably lots of great resources for men, and I apologize that I have to put my focus on the next two blogs on women, but as a girl, I find it important to stress that our lifestyles and habits might differ from the men in our lives. Which is good, because the differences spice up our lives. Whitney was a game changer for me, and what I like about her the most is the creativity she proves when making workouts. There is always something new on her channel, and by now, I rejoice like a little kid when Whitney uploads a new workout video. I cannot do much with the “What I eat in a day” videos – except maybe for the simplicity that Whitney displays when it comes to meal prep – just because European supermarkets are too different from the US. But I’m an absolute fan of her workouts, and they DO work, if you work hard. Soon in another post, I’ll talk more about workout and fit living for creatives, as this is one of the most important aspects for me. Start with: Fit Tips with Whit – here, you’ll find videos like fitness philosophy, what to do after a workout, workout schedule and a “beginner’s guide to getting FIT”. The Highlight: Workout with Whit. Everything you need is here. Everything. High Intensity, leg training, chest, back, arms. And again, I cannot stress it enough, those workouts are creative and never get boring if alternated. There’s also an excellent section on At Home Workouts. I use them for vacation. This is another blog for women, and I’ll talk some “girly” issues here, so men, feel free to skip to the next one. I just love this blog because it gives me courage as a woman. It never takes more then five minutes of my day to skip though the beautiful photos, read a little of the post. But every time I find myself lost in those five minutes, I realize that I’m filled with hope. There is a beauty and bravery to it, a hope that family life can be amazing, adventurous, filled with happiness, ease, and love. Just open the blog, the very first post. Have a look at the photos. You’ll catch yourself smiling involuntarily. You’ll fall in love with it. What this blog does for me, is, it makes me want a family. It makes me want to throw away the fears and prejudices of being pregnant, or being a mom. When I look at Amber, I am thrilled to have kids. Sure, I’m aware that life’s not always how we see it in those pictures. There are problems. But this is not what it’s about. It’s about the fact that those happiness moments outweigh the hardships because they are so precious and worth every bit of my time and investment. The blog’s highlights are definitely the amazing pictures! There is a certain focus on lifestyle, hair and beauty, but as told above, this is not what the blog gives me in the first place. Secret Island – love, love, love those pictures and of course those places as I am an absolute world traveler. 60 Tips for traveling with kids and toddlers – great, even for a “not-yet-mom”. Father’s Day gifts – emotional. Having mentors and role models on the internet is important. That’s the beauty of the world we have nowadays: the endless connections we can make with people around the world. But this can and should never replace personal face-to-face encounters and relationships with people whose lives we can actually witness. Because as we see them living their everyday lives we can witness firsthand how they live what they teach. Personal conversations and exchange of ideas make us grow. Even more do projects we can passionately work on together. Walter is one of the people in my personal environment who inspires and mentors me. Walter is a German blogger who has two different blogs. He started with schreibsuchti.de, which is primarily a blog about blogging. Over the course of several years, this blog grew to be one of the most popular ones in Germany. He then started another blog: endlichlebendig.de, which translates as “finally alive” and deals with the topics of a fulfilling life and making money with one’s passion. Walter recently published a book on Amazon on the subject of time and how to make time for the important things in life, which became a German bestseller in the category of management. His life continues to inspire me. Walter studied law and finished his first State examination, but he refused to be stuck in a job that he hates. Having a family and kids, he still made the bold step of terminating his clerkship and become a freelance blogger. I witnessed it all firsthand as our families are close friends. The doubts and criticism he had to face from family and friends, the first hard years they had to go through financially. And this is the power of personal relationships. I have never seen Walter giving up. Ever. He made a decision not to waste time doing the things he hates but instead focusing on passion and family, and he went through with it no matter what came along. He put in the hard work, the sweat and maybe even tears, and it finally paid off. If you’re lucky enough to speak German, check out his blogs which are full of inspiring resources and articles, and read his book. More important though: Look for people in your surroundings for inspiration. Friends. Family. Neighbors. Form relationships and cherish them, and maybe one day, you will be the one to inspire others. One last word of care: All these resources are made to move you to action. There are many people who read those blogs, admire and maybe even envy the people, but do nothing. The temptation is there, because actually doing something means moving out of the convenient and comfortable place of pure consumption. Creatives need a healthy dose of both. If you work non-stop without loading up your creative well and educating, you will eventually burn out and get stuck. But if you never move to create, your heart will become dull. Those resources will loose their meaning because they are meant to evoke practical change in your own life. So now, go ahead. Fill up your creative well and start becoming an inspiration for others. Extremely valuable resources in this post. You’ve also done a masterful job of formatting it…images, quotes, etc. What an awesome post! And thank you so much for including me. 🙂 I’m honored. Tweeting it for you! Thank you Katie! Honored by your compliment, you are definitely my role model, and your books on writing have changed my life and prompted me to start my first novel FOR REAL. Thank you!